Enjoy fitness classes in a supportive, social atmosphere. Join Performance 360’s group exercise classes for free with your membership. 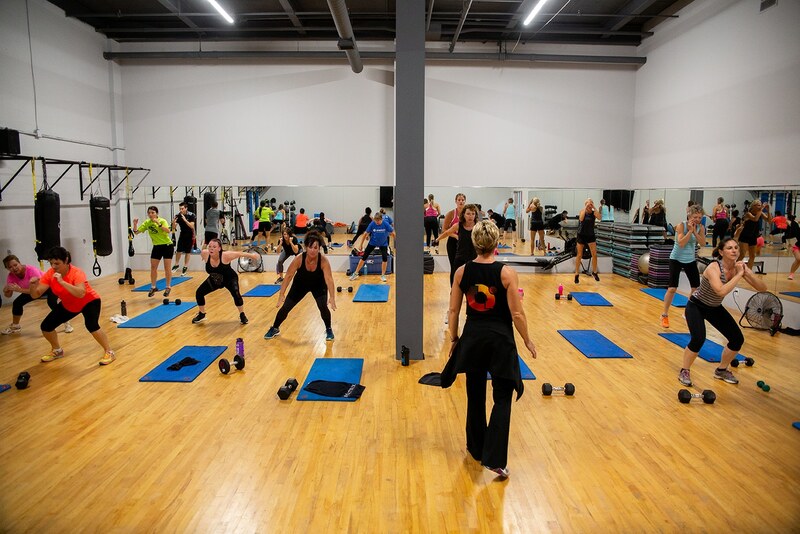 These group classes include Bootcamp, Yoga, Indoor Group Cycling, TRX, High Intensity Interval Training, Zumba, Tabata and over 300 virtual fitness classes. Our squeaky-clean 2000 square foot studio never feels cramped and offers all the motivational perks of our supportive community spirit. Adding group exercise to your fitness journey and personal training experience is a great way to experience our inclusive culture. You will find that throughout our facilities, we are relationship-based, know all the names of our members and foster personal connections. If you are new to group training, we want to provide the best first impression for you. We promise you won’t feel lost or neglected in a crowded bootcamp or spin class. Our instructors want to ensure you feel welcome, safe and inspired to keep coming back. We offer consistent direction to our participants with positive encouragement that won’t leave you feeling centered-out or embarrassed. Keeping every personality and fitness style in mind, for those who would prefer a more intimate training experience, please see our MX4 Small Group training page or get connected with a personal trainer. If you happen to miss one of our scheduled classes, our Fitness On Demand offers full access to 300 virtual classes displayed on our 80”HD screen. You can find more information and our class schedules here.